Diets with high protein intake are very popular in the health and fitness community today. Bodybuilders and fitness fanatics are always on the lookout for the next big protein source that will make it to the headlines. So, to make things a little bit clearer, it’d only make sense if we first asked ourselves: ‘why protein’? Protein owes its fame to its re-building properties. Foods rich in protein help the production of muscle, cartilage, skin, hair and nails. It’s not surprising why most celebrities choose foods high in protein over others! Surely they must know something we don’t, right?! Be aware though. A common misconception on protein consumption is that the more protein you eat, the more muscle you build. This is inaccurate. Naturally, the only way you can, and should, build muscle is through exercise – Remember, protein is just one piece of the puzzle! 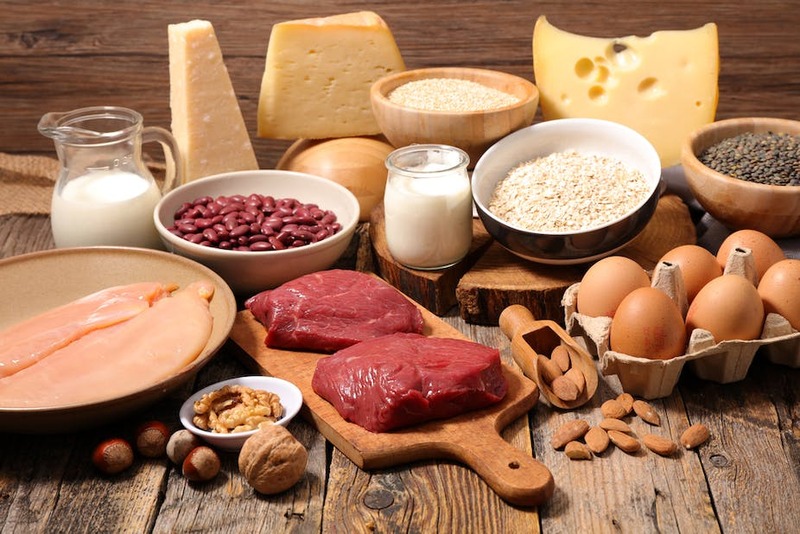 The amount of protein within your diet should depend on your activity level. For most people, 0.8-1g of protein per 1Kg of body weight is recommended. This portion increases if alongside strength training intensity. What protein should I eat? Fish. Fish is a really good source of protein and omega-3 fatty acids which are low in fat. I usually have fish with a drizzle of lemon juice, new potatoes and some green runner beans. Eggs. Eggs are a great source of protein. A medium egg has around 6g of protein within. I love poached eggs on toasted brown bread. Lean meat. Lean meat is obviously a good source of protein. I enjoy lean beef mince in a chilli with brown rice. Poultry. Poultry such as chicken is low in fat and high in protein and is yummy in a caesar salad. Yogurt. Simple Greek yoghurt or even better Icelandic style yoghurt is a great source of protein. I usually combine with some nuts and fruit. If you are a vegetarian/ vegan alternative protein sources can be found in plant-based foods such as soy, legumes, and nuts. If you have questions regarding protein intake and would like help with diet planning or exercising, worry no more. Simply contact one of our Fierce Fit trainers. As always, we are more than happy to help!